The March 2016 issue of Bike magazine is now available on newsstands, both print and digital–and it’s a tribute to how mountain biking and positive thinking can help turn tragedy and turmoil into inspiration and even happiness. Mountain biking is much more than just a sport: It’s a way of living, a way of thinking. And in this issue, we look at how riding has transformed the lives of some truly extraordinary people, helping them overcome adversity and opening up whole new worlds of possibility. 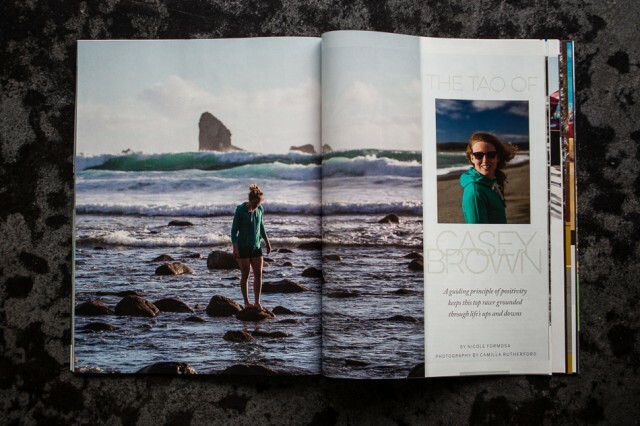 In “The Tao of Casey Brown,” we look at how this pro racer’s unorthodox upbringing has molded her into one of the world’s most daring and dynamic female riders—a woman whose phenomenal talent is eclipsed by her humility and compassion for others. Our managing editor, Nicole Formosa, revisits Casey Brown’s childhood home on the remote west coast of New Zealand’s South Island to learn how her family’s off-the-grid existence has factored into the life choices of the woman you see shredding on this month’s cover, photographed by Sven Martin. 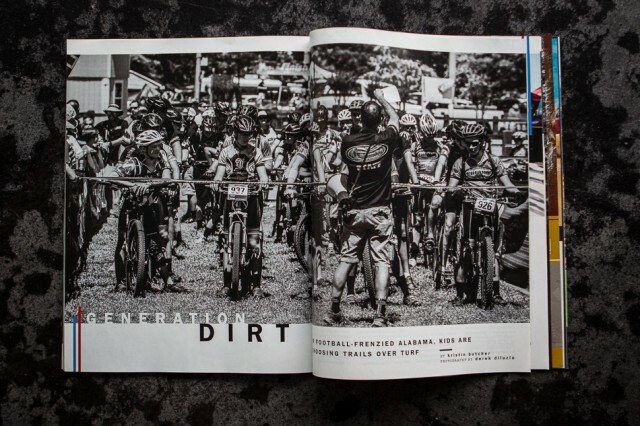 As mountain biking steadily weaves its way into the fabric of our society, we examine how high-schoolers are choosing trails over turf in football-frenzied Alabama, with the state’s new NICA league giving every interested kid the chance to compete and experience a broader sense of community. There are no tryouts, no rejections, no warming benches while watching others compete—just bikes, fresh air, healthy competition and a chance to make a whole lot of new friends. 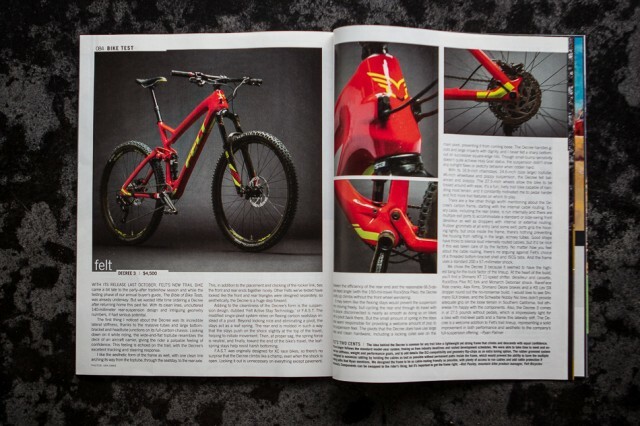 With its release last October, Felt’s new trail bike came a bit late to the party—after tradeshow season and while the testing phase of our annual buyer’s guide, The Bible of Bike Tests, was already underway. But upon our return from the Bible testing, we wasted little time ordering this Decree, with its clean lines, uncluttered suspension design and intriguing geometry showing ample promise. And our gear editor, Ryan Palmer, didn’t hesitate to put this new bike through its paces. Find out what he thought of this $4,500 offering.